spent all morning cleaning the side porch with Mama Pawlish... it's supposed to snow on Wednesday, so things i'd been putting off had to get done today. we thought our shed had been fixed from all the leaking... but it rained yesterday and it was full of water again. total bummer... so we had to put everything into plastic totes, then covered it with tarps. it's not a good look... but better than having all our stuff ruined! i've got a great Christmas idea to share with you all today! or just a lovely treat for yourself :) i was super excited to find these... as soon as i heard about them, i knew they had to come home with me and began stalking Ulta. Butter London's holiday collection this year is the 'Steampunk Ball Collection' which consists of several awesome gift sets. 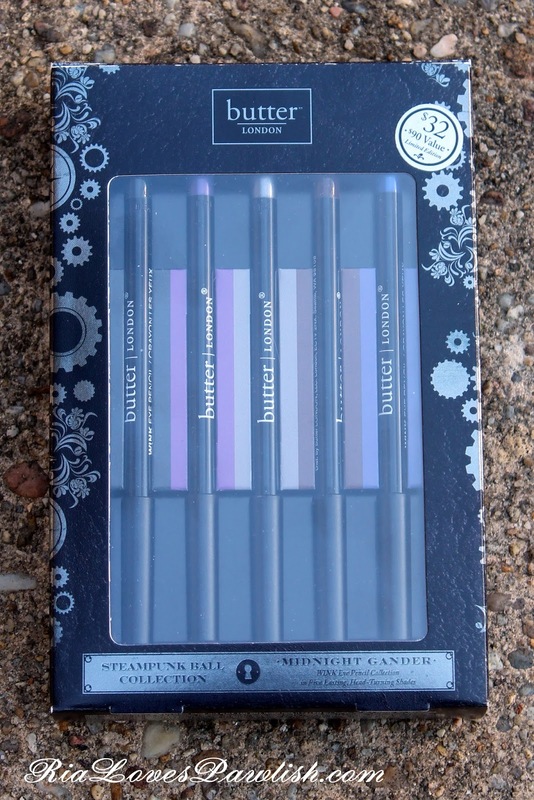 this one is the Midnight Gander Eye Pencil Collection, it has five of their full size Wink pencils for the amazing price of $32... one pencil alone retails for $18! i knew i loved these already, and i didn't have any of these colors so grabbing it was a total no brainer. 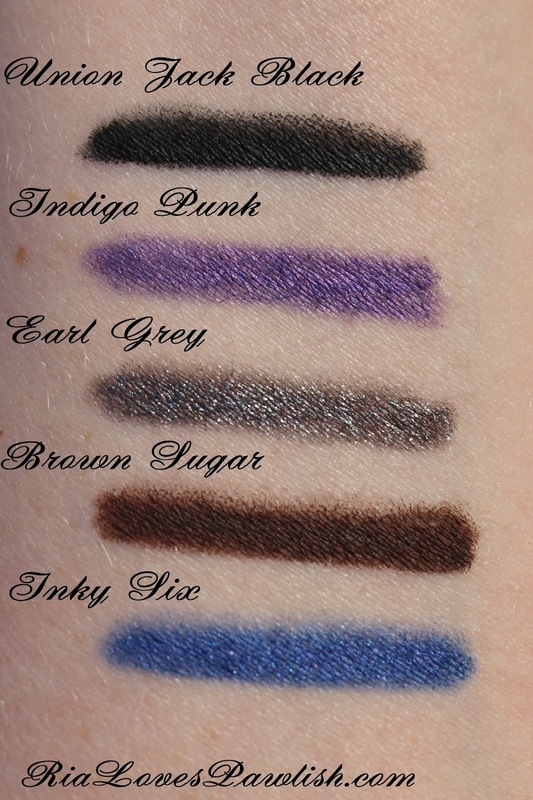 Butter London Wink Eye Pencils are creamy, pigmented, and extremely long wearing. they set up really nicely and don't transfer on my eyelids. my other favorite eye pencil brand is Pixi (talk about long wearing! ), but i can't use those on my waterline because they are too creamy and get on my contacts. 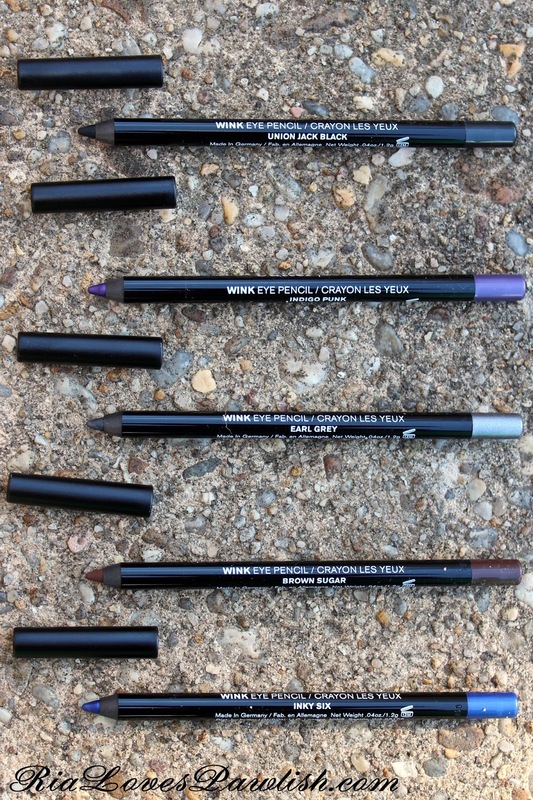 i can wear Wink pencils on my waterline AND they last pretty well! and the pencils themselves. these are the traditional type that you have to manually sharpen. you can find Butter London products at several retailers, my favorites to look for them are Ulta, Ulta.com, and ButterLondon.com! i have only purchased from Ulta (in-store and online), though!